Worms, insects and many other objects have been found in food by people all across the globe; the objects are weird yet believable. 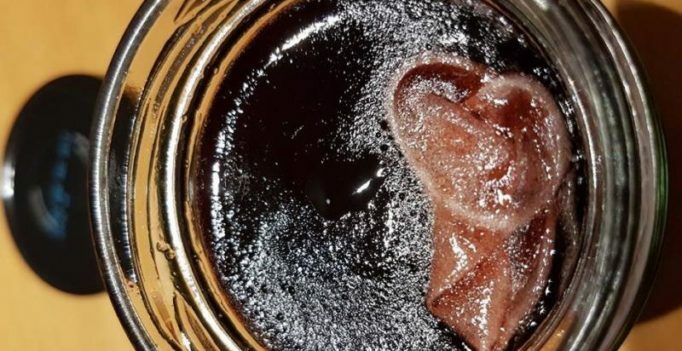 A man recently found a used condom in the jam he purchased from a store recently and he went ahead and complained to the store on social media with a surprising reply. According to a report in the Metro, Troy Hawkins recently purchased a bottle of jam from Co-Op and was left surprised and disgusted by what he found when he opened the bottle. The consumer found a used condom in the jar or so he thought because the officials at the production outlet said otherwise. They replied to his Facebook post and said that it was nothing but foam that looked like a used contraceptive. The foam rolled off the tray and landed into the bottle before it was sealed and that’s how he found it in his jar. Troy Hawkins who had bought red currant jelly was given a compensation with a 20 dollar voucher but he still didn’t believe the claim by the company.